We Refinish Tubs, Tile, Showers, Sinks, Countertops & More! We Repair Chips and Holes in Tubs and Shower! 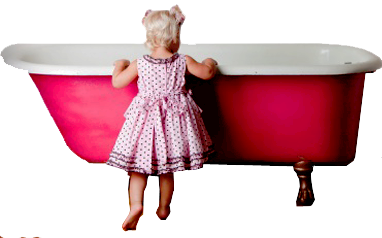 Modern Refinishers is known for their tub and tile resurfacing and their repairs. We do residential and commercial, and also work with property management companies and realtors. 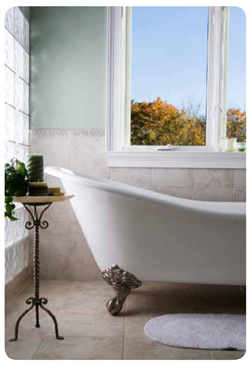 Six Year Warranty on our refinished Tubs, Showers, Shower Pans, Tub/Shower Combos and Tile. Our pricing is competitive! Want An Expert... Come To Us. We serve Seattle, Eastisde, Snohomish County Grays Harbor and the Olympic Peninsula. We are know for having excellent work. Call us with your questions. Our main product is a premium Aliphatic Urethane, which gives you a durable hard gloss surface. We have a six year warranty on Bathtub, Tile, and Shower Refinishing, if your tub or surface should fail within the warranty we will fix it! We only have trained and skilled technicians. We have been in business since 1998. Our prices are the most reasonable in the Puget Sound Area. We also have discounts for multiple tubs and have sales from time to time, so give us a call. We were voted the Best in Kirkland and have excellent reviews on Angieslist, Yelp and an A Plus rating with the BBB. If your looking for a Bathtub Refinisher with a great reputation and who really knows which products are the best, or have questions about refinishing, call Clyde, he really is the best in the business. We are locally owned and operated and cover King County up to Mount Vernon and more. Our reputation means everything to us, we always stride for excellence and customer satisfaction. Contractors Call Us First Because They Know Our Work! Damage to a tub, shower, sink, boat or RV.